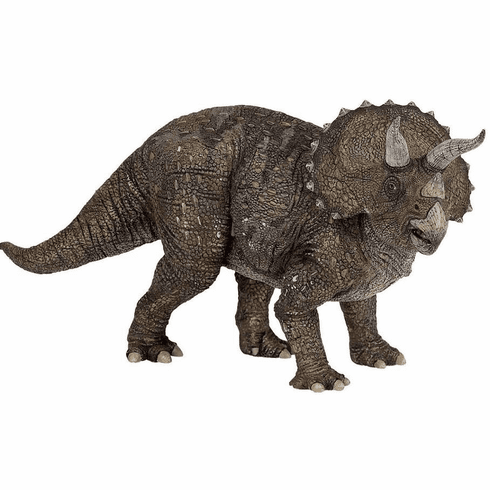 Papo Triceratops measures approximately 9 inches (horn tip to tail). The name "Triceratops" literally means "three-horned-face" (in Greek). While popular theory has always depicted that the 3 horns were strictly defensive weapons, new studies have expanded their use to include courtship and dominance displays (much like modern day deer antlers). The Papo Triceratops #55002 is part of the Dinosaur Series by Papo.